OXO digitizes your memories and creates a convenient system so you and your loved ones can easily find, preserve and share all your photos. End the photo management chaos! 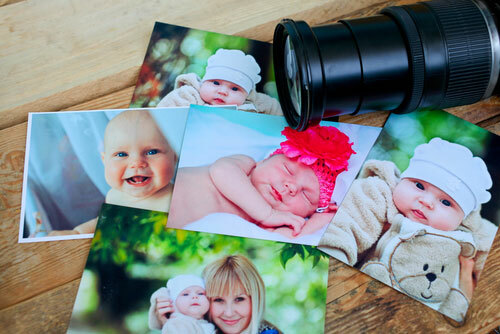 OXO will find, scan, organize, and digitally create an easy, accessible system for all of your photos. From a shoebox of photos or to an attic-filled with generations of pictures, albums & slides, we take the time, hassle and frustration out of an overwhelming task and create a photo system that is safe, secure and convenient to share. "My mother is very organized, but when my father was battling a life-threatening illness she was of little help. Managing my parents affairs was difficult and unexpected. After that experience, OXO Digital Organizing helped us digitize our vital documents and be prepared for any future surprises. I love knowing that I can easily access our family's legal & medical documents from anywhere at anytime." "You did an excellent job speaking to a crowd with a wide range of technology skills and knowledge. As expected, the survey results were excellent! (from "Digital Organizing 101" Seminar)"